Voice studies offer classical courses dedicated to repertoire from Baroque to late Romanticism, while also studying the respective singing schools. Contemporary techniques and 20th and 21st century music are also included in the curriculum. The main focus is on individual lessons, while regularly held concerts offer performance opportunities for the students. It is considered important that the students are given a comprehensive preparation for their future work in professional opera theatres: the curriculum includes acting skills and the theory of theatre, elocution and stage speech, body techniques and stage movement, as well as dance and stage makeup from different eras. Students in the master’s programme can focus more specifically on different eras and styles. A teaching module is also available. 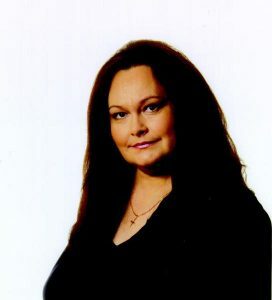 Faculty members include soprano Nadia Kurem - long-time soloist of the Estonian National Opera and current head of studies; soprano Heli Veskus - soloist of ENO, internationally recognized tenor Juhan Tralla, baritones Taavi Tampuu and Taimo Toomast as well as guest professor Eva Märtson-Wilson. In the Opera Studio, roles and excerpts from operas are prepared with guidance from different directors, conductors, choreographers and pianists. Every spring, a full opera with the participation of the most distinguished voice studies students is performed to the public. The Estonian National Opera has been a partner in many of the productions. Altogetherover fifty operas have been staged over the years, most in collaboration with professional (music) theatres, directors and conductors. Thomas Wiedenhofer, Georg Rootering and Stephan Jöris (Germany), Pekka Saloma and Ilkka Bäckman (Finland), Kim von Binzer (Denmark) and Giorgio Bongiovanni (Italy) have all worked with the Opera Studio students. The EAMT Symphony Orchestra and students from the Stage Design Department at the Estonian Academy of Arts also collaborate in staging the Opera Studio performances.